Israeli Prime Minister Netanyahu faced sharp, albeit indirect, criticism from two major U.S. Jewish organizations, the American Jewish Committee and American Israel Public Affairs Committee, after he encouraged a political deal that promotes the far-right, anti-Arab, ultra-nationalist party Otzma Yehudit aka Jewish Power. 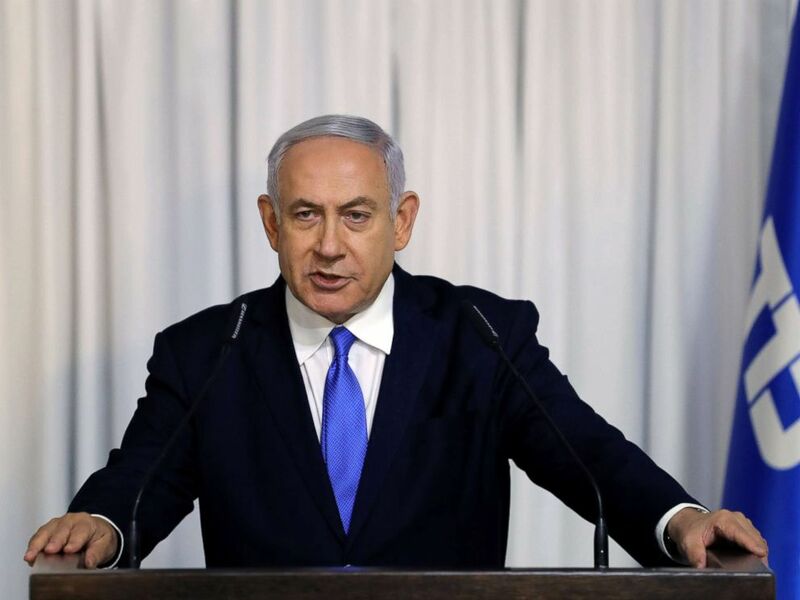 It's Netanyahu's efforts to strengthen the fragmented Israeli political right ahead of the April 9 general election that facilitated the deal between the Jewish Home party and Otzma Yehudit, allowing the two parties to run on a joint ticket. As a result, members of Otzma Yehudit stand a real chance to sit in the next Knesset. Otzma Yehudit is considered a descendant of the outlawed Kach party, led by Rabbi Meir Kahane. In a statement, AJC said it felt compelled to speak out against the "new political party formed by long-time followers of Rabbi Meir Kahane," writing: "The views of Otzma Yehudit are reprehensible. They do not reflect the core values that are the very foundation of the state of Israel." AIPAC endorsed the AJC position, adding that it has a longstanding policy "not to meet with members of this racist and reprehensible party." The chairman of the U.S. Judiciary Committee, Jerrold Nadler, tweeted his criticism: "The promotion and inclusion of an avowedly racist party is a betrayal of Israeli democracy and of Israel's friends and supporters around the world. Otzma Yehudit's anti-Arab, racist philosophy should have no place in the Knesset. Their legitimization is simply unacceptable." In Israel, Netanyahu's main political opponent, Benny Gantz, adopted the position of AIPAC and AJC and accused the leader of crossing ethical boundaries just to try to safeguard his position, harming Israel's image worldwide and endangering the relations with the U.S. Jews in the process. Netanyahu was quick to respond on his Facebook page, accusing his critics of "hypocrisy and double standards": "They denounce a bloc on the right with right-wing parties while the left has acted to put extremist Islamists into the Knesset to create a bloc that would overtake the right."